There’s more evidence today that the cord-cutting trend – that is, cancelling cable TV service in favor of Internet-delivered options – is gaining speed. 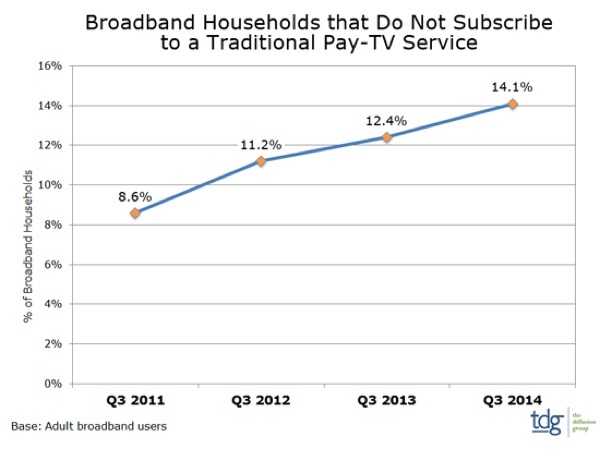 A survey of 2,000 adult broadband users conducted by The Diffusion Group (TDG) reveals that as many as 14.1% of U.S. broadband households do not currently subscribe to a traditional pay-TV service. This is an increase from a rate of 8.6% just three years ago. Of course, this current trend doesn’t necessarily mean that people refuse to pay money for content; it means that people want to unbundle. Cable packages are increasingly expensive because you have to pay for access to hundreds of channels, most of which you likely never watch and would never otherwise order if they weren’t lumped in with our must-haves. Cord cutters instead purchase less-expensive subscriptions to services like Hulu and Netflix, which can be streamed to a television using Apple TV, Roku or the new Amazon Fire TV Stick. The trend toward cord cutting is almost certainly going to continue as cable TV prices continue to rise into the stratosphere. Already, HBO Go has announced it will launch a stand-alone digital service in 2015 – it’s already being offered as part of a $39 internet-only AT&T bundle. NFL Sunday Ticket is now available without a pay TV subscription now too. And CBS recently launched its own $6.99-per-month All Access plan that lets you watch the network live over the net. There’s some fine print on these offerings that make them not-quite-the-same as watching live cable TV, but the savings often more than make up for it. 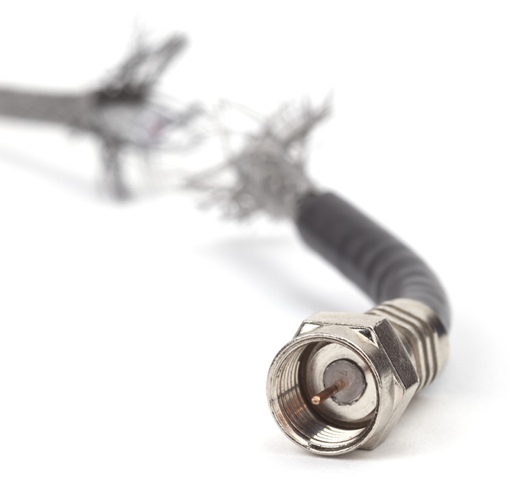 You can learn more about your potential future without paid cable TV by reading our pros and cons of cutting the cable cord guide. Actiontec Electronics develops broadband solutions that connect people to the Internet, applications, and content they care about. We're turning the promise of the digital lifestyle into reality, enabling consumers to enjoy any content on any device in any room in the house.